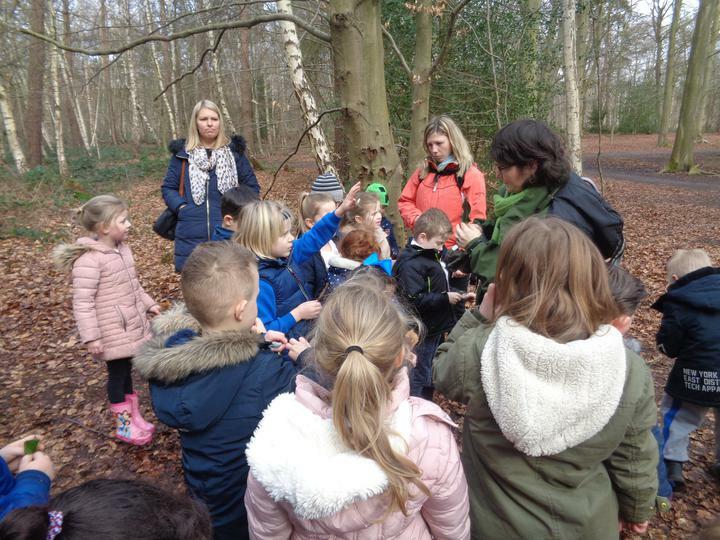 Thank you so much to all of the children and parents for your kind words, cards and gifts at the end of term. 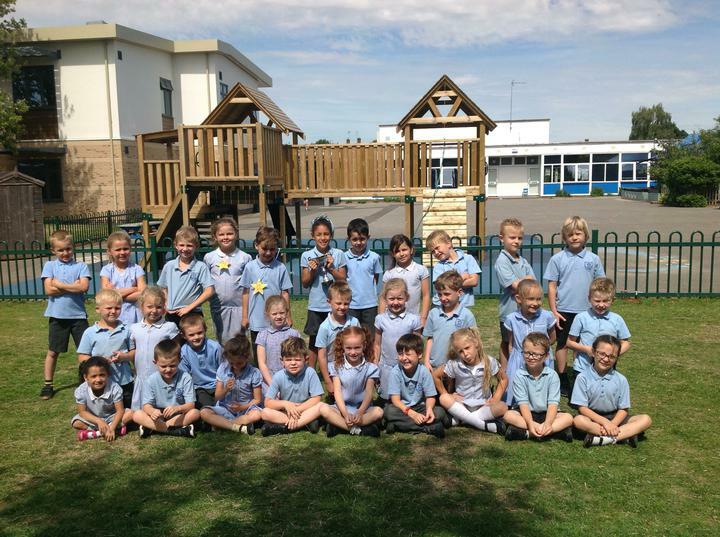 We hope you have a lovely summer break and we will see you all in September. 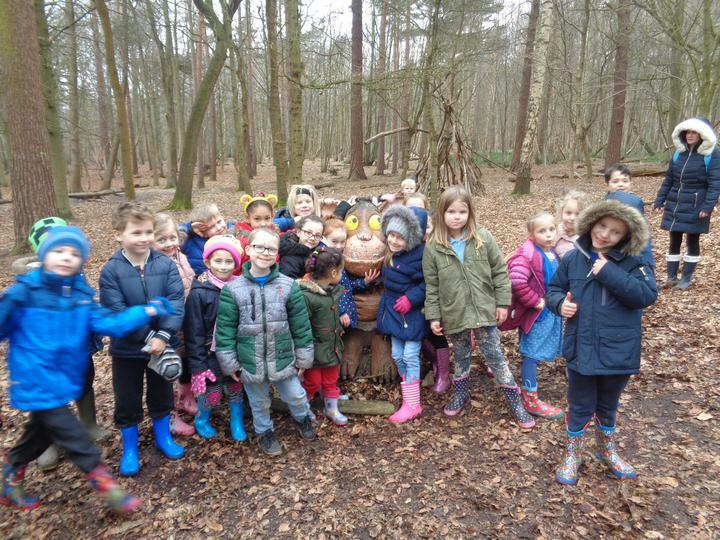 Knightsbridge have won a trophy!!! 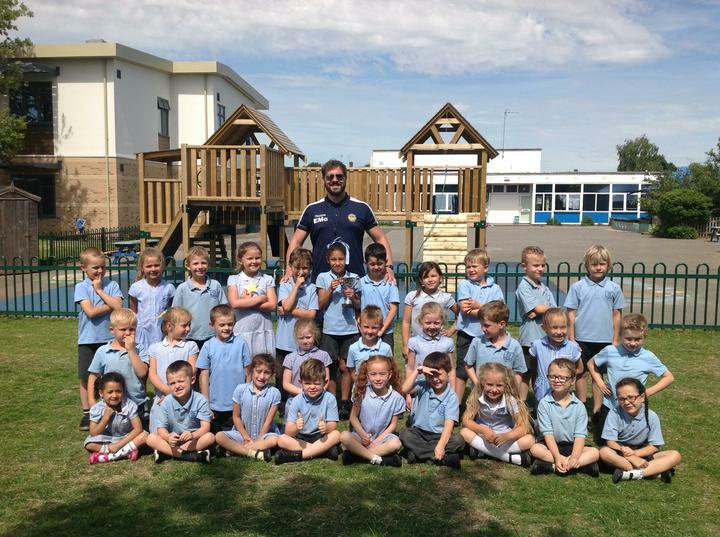 Knightsbridge won a trophy for Sports Day (Tuesday 11th July). 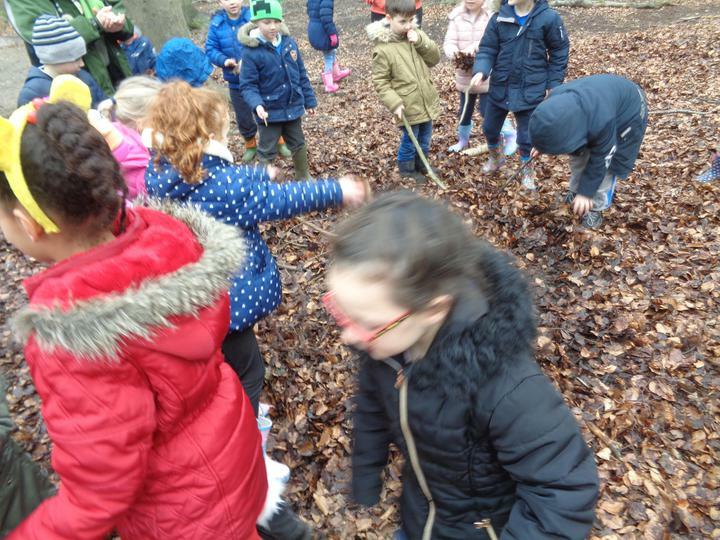 They came joint first with Green Park for Key Stage One! 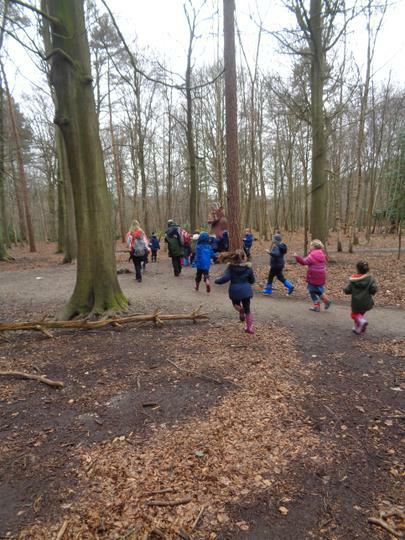 Well done everyone for taking part and trying your best. 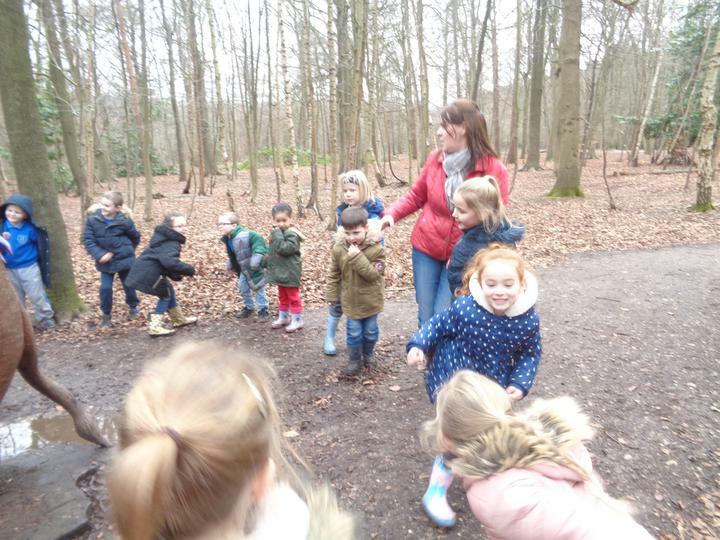 Mrs Edwards and Mrs Port are very proud of you. 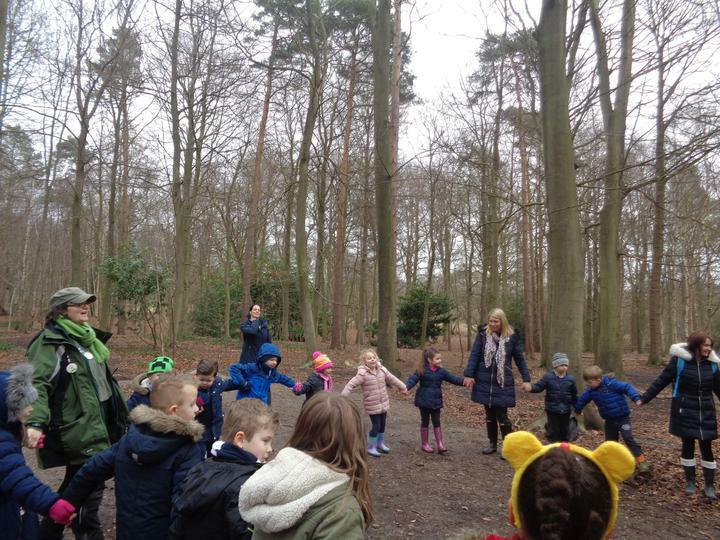 A big thank you to Mr Mac for organising such a super sports day. 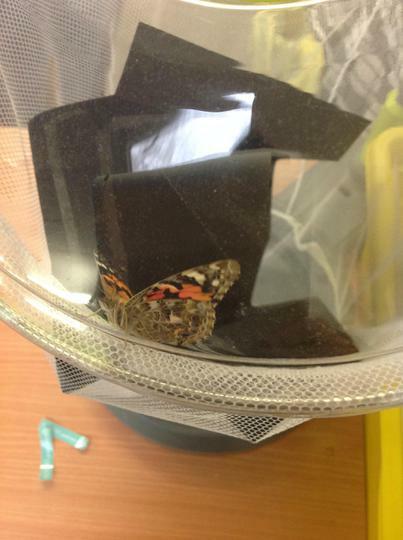 This morning, we had a very exciting discovery during English! 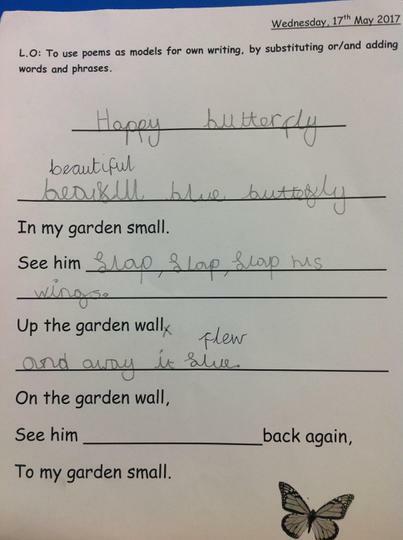 The children were writing poems about the life cycle of a butterfly. 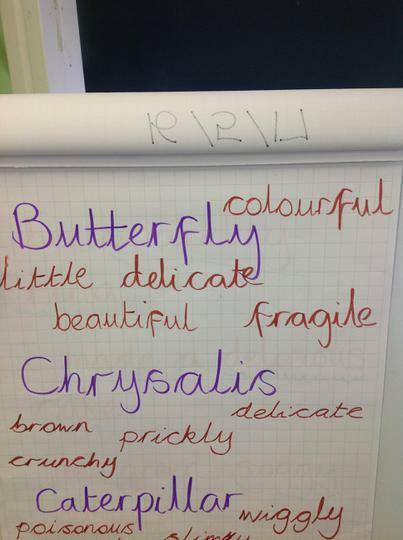 We had made a word bank of adjectives to describe the caterpillar, chrysalis and butterfly. 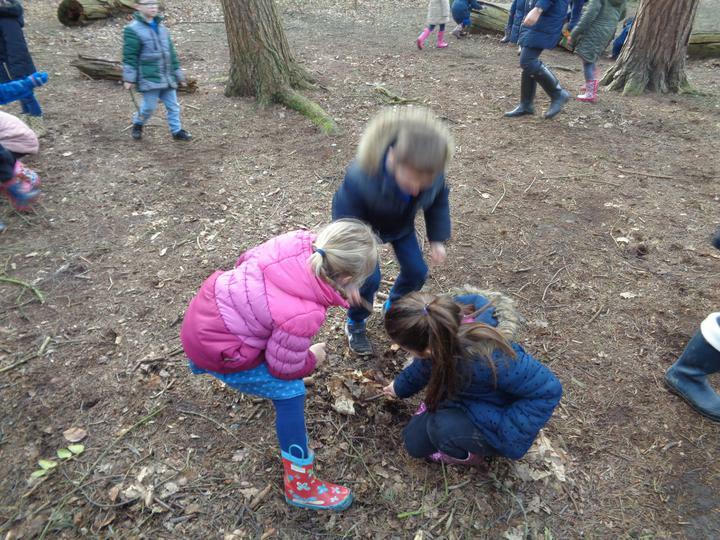 Then, the children worked independently, putting their adjectives into poems. 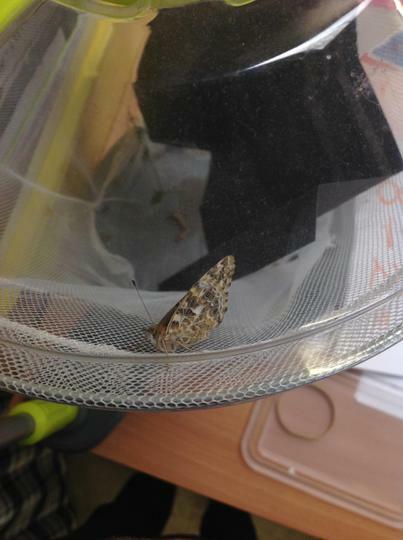 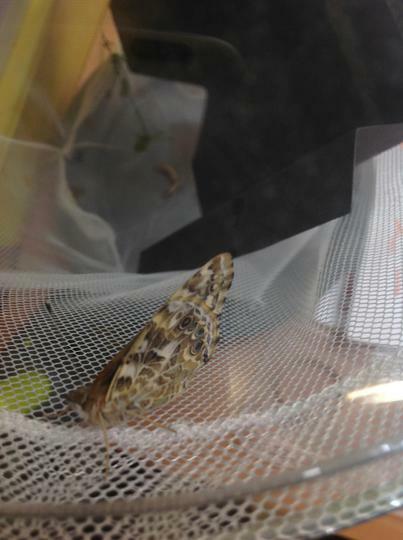 Just as one of the children was about to read their poem, we discovered that one of our class caterpillars had turned into a butterfly. 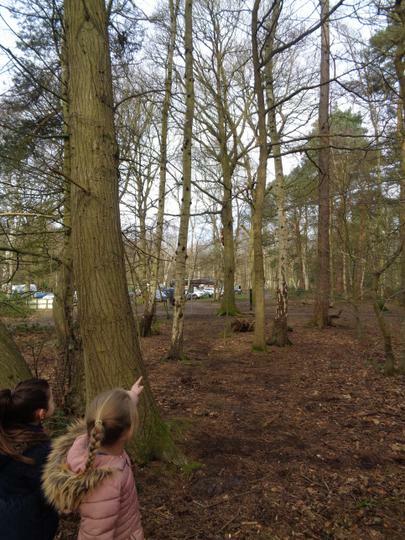 It was flapping its wings at us! 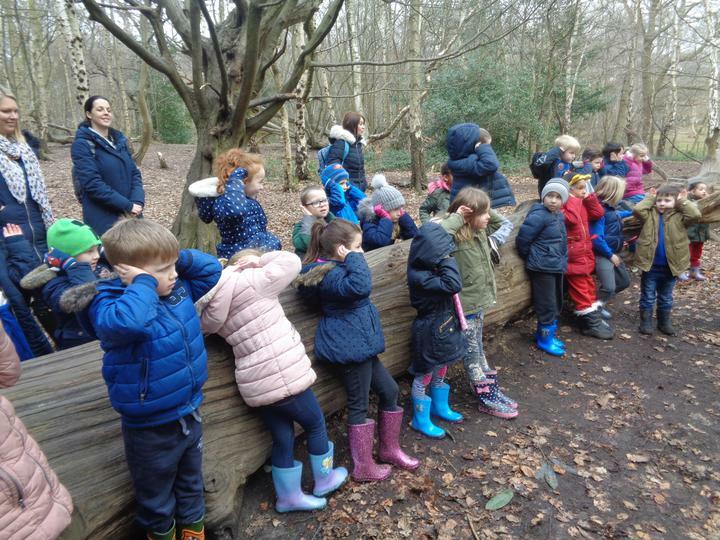 Knightsbridge were rather excited and amused...perfect timing! 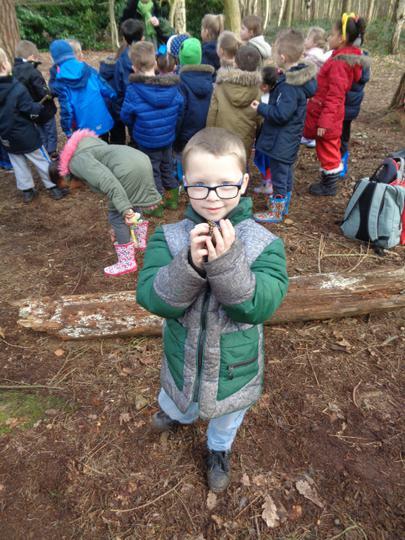 Summer Term. 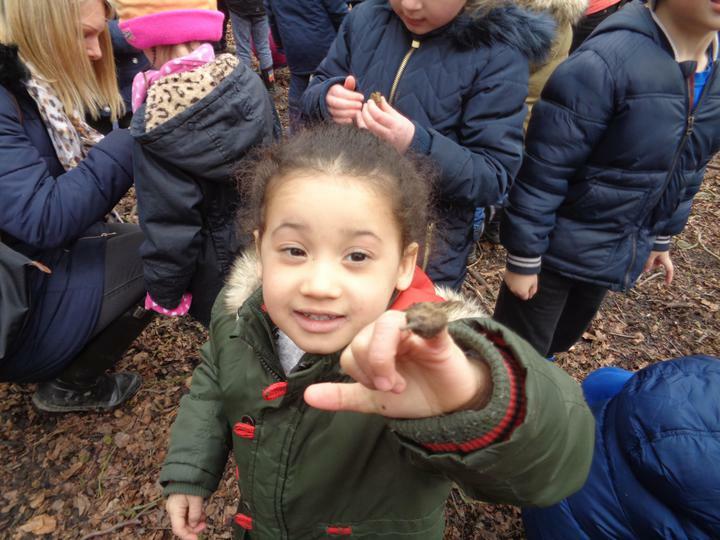 In English last week, the children found out about different birds from New Zealand. 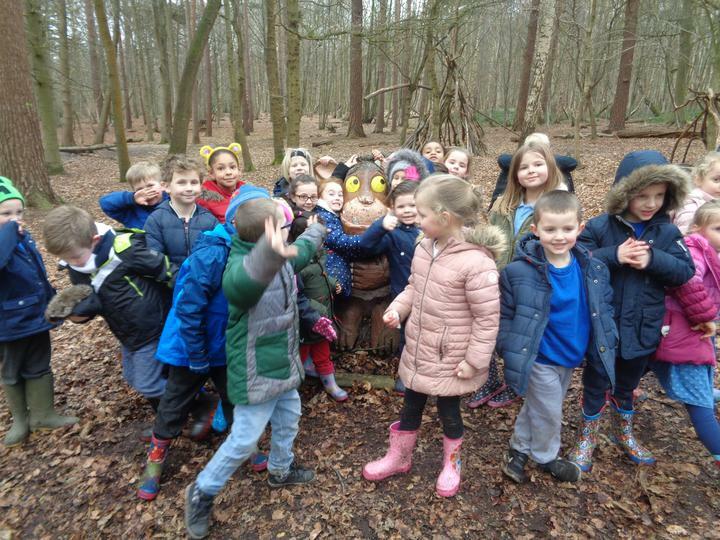 Everyone read and highlighted facts about different birds, before writing sentences and making fact files about them. 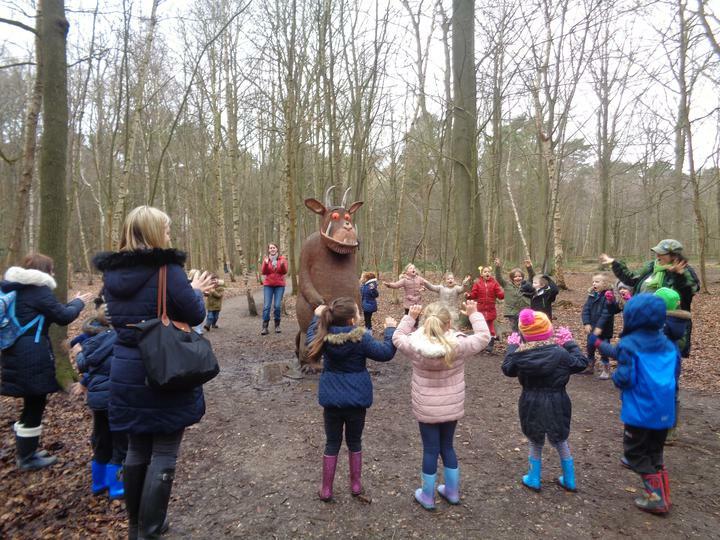 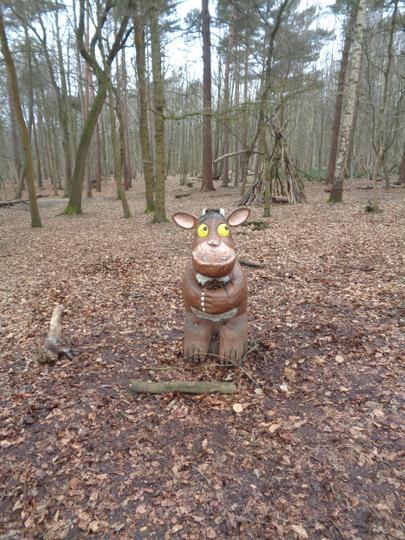 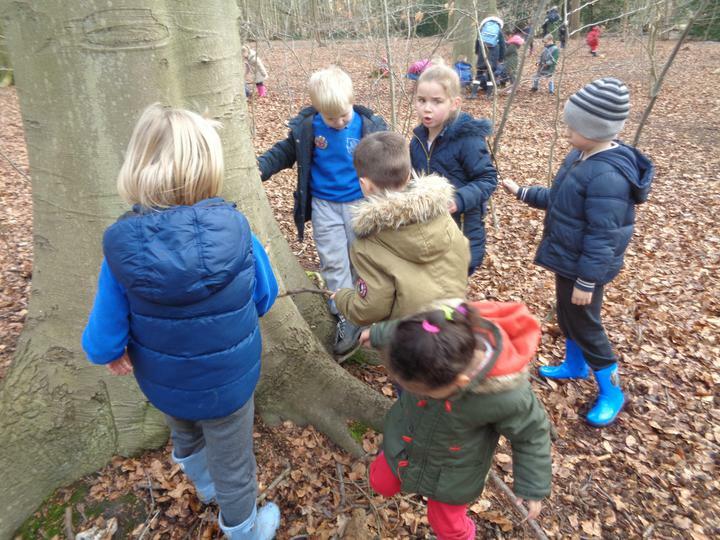 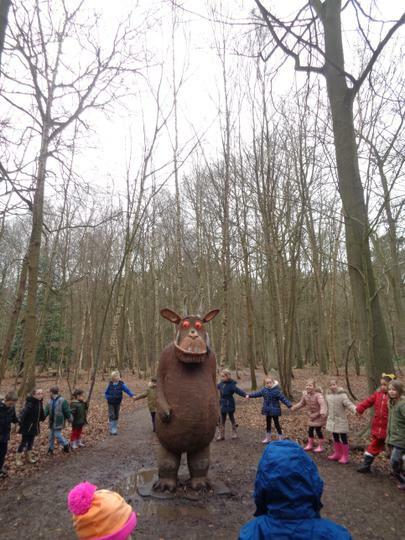 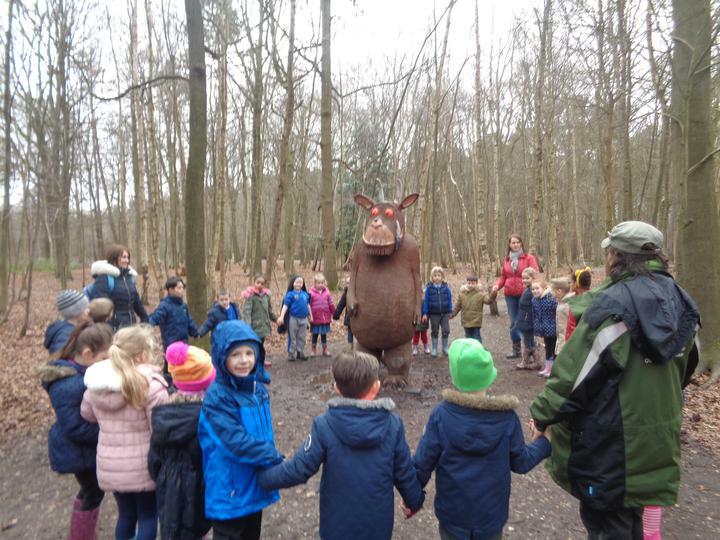 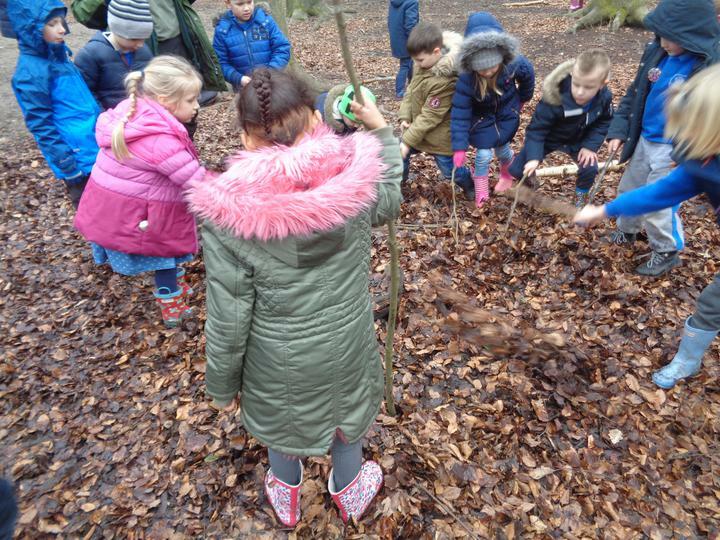 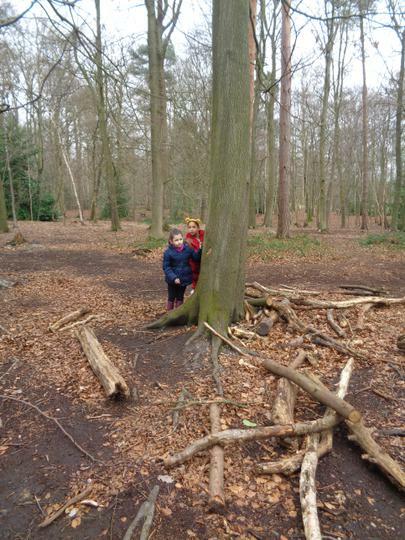 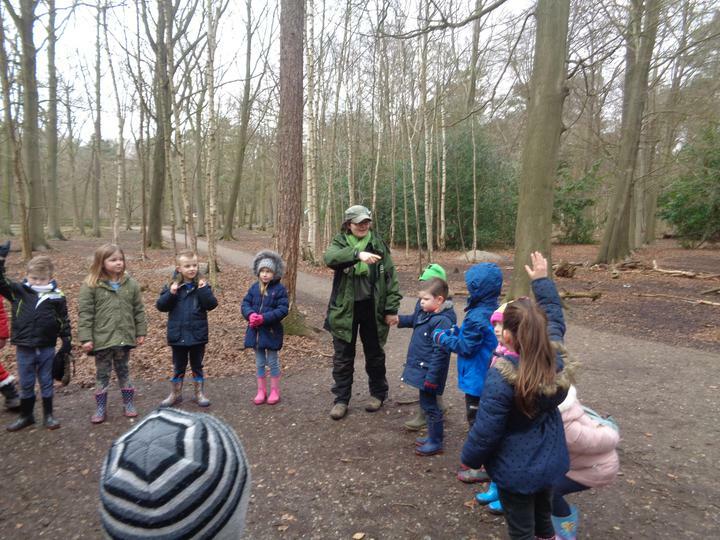 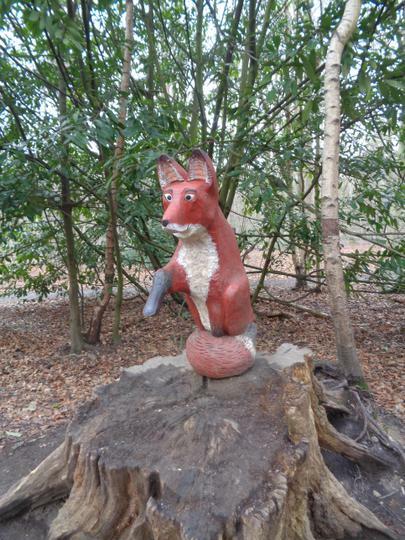 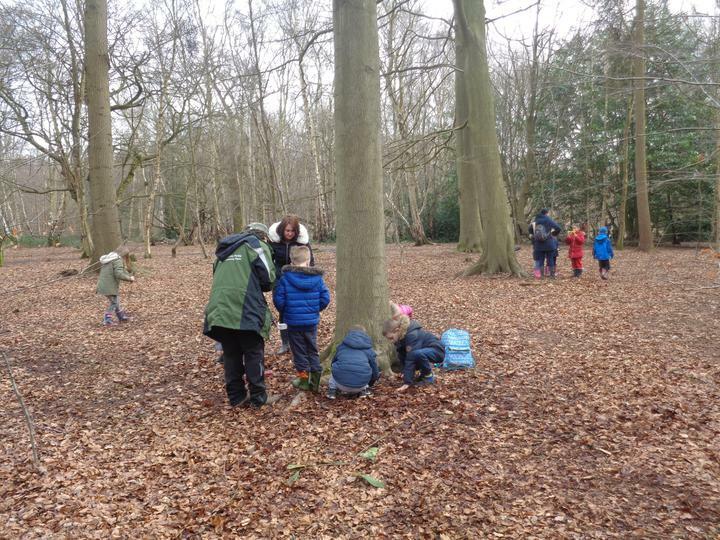 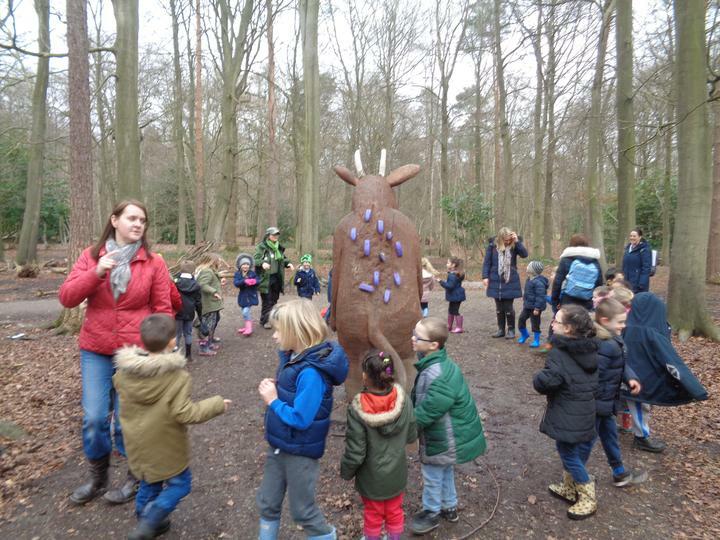 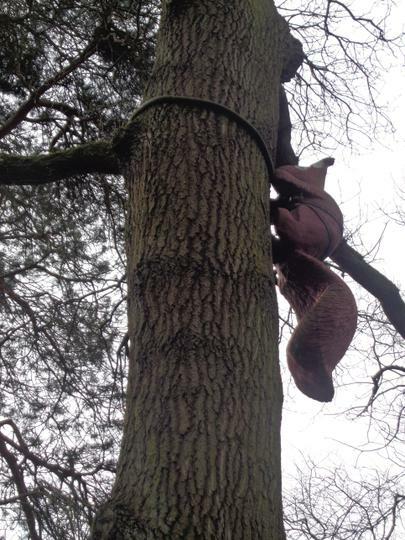 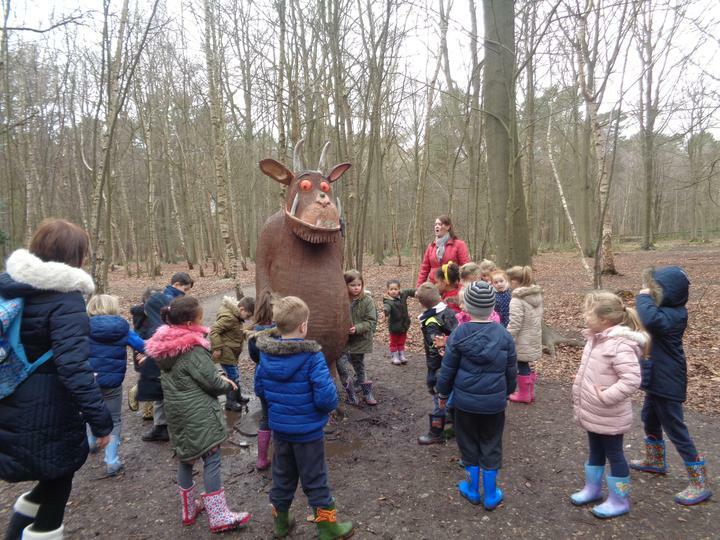 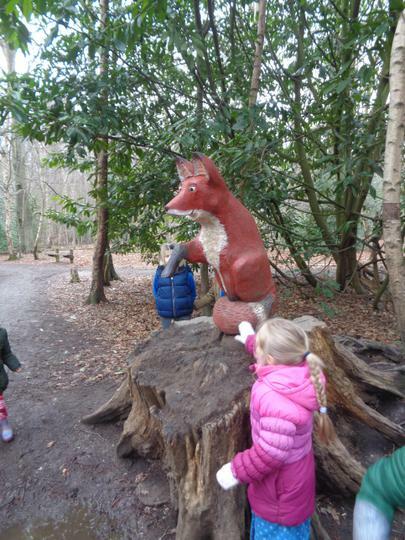 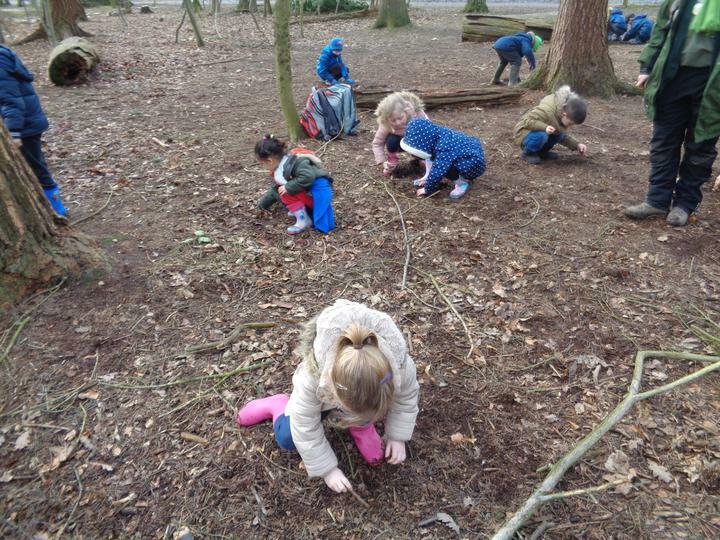 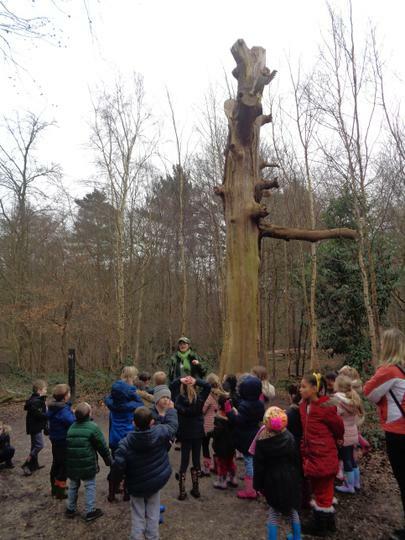 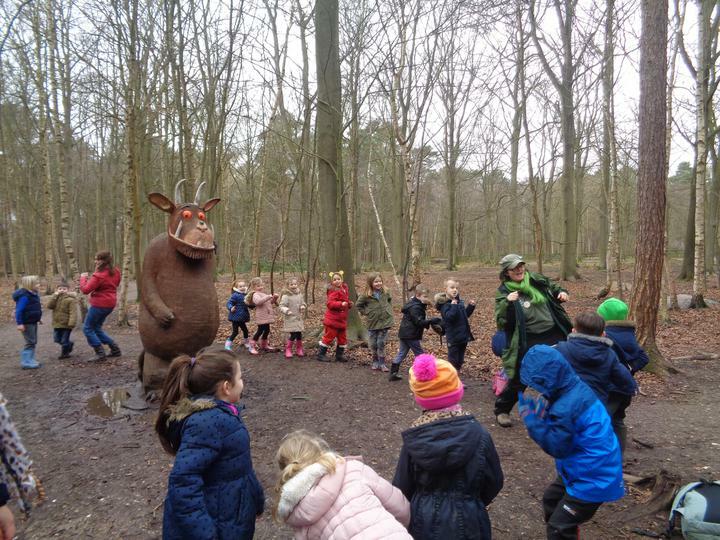 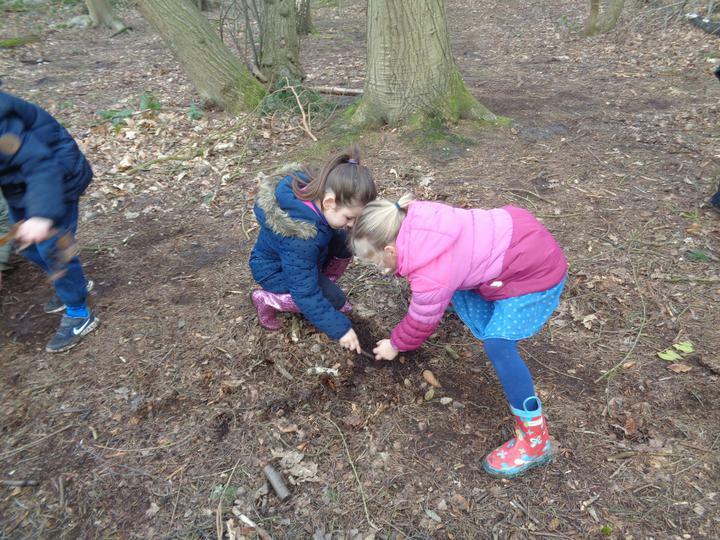 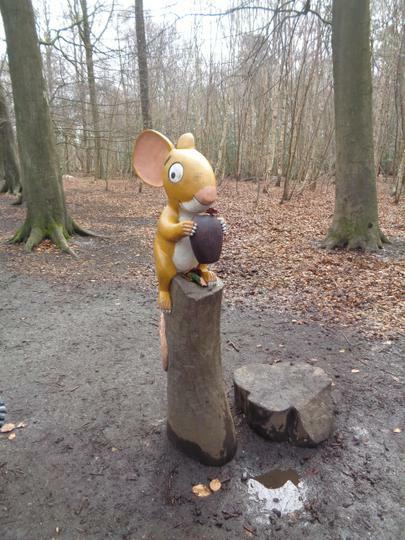 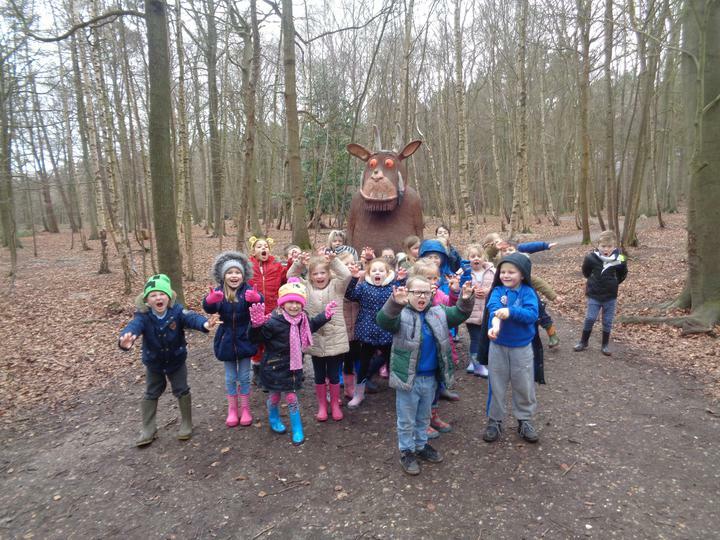 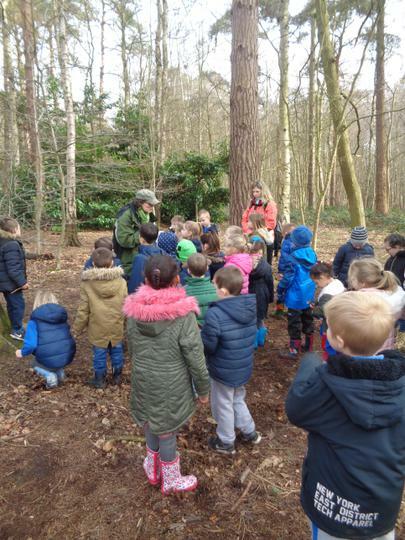 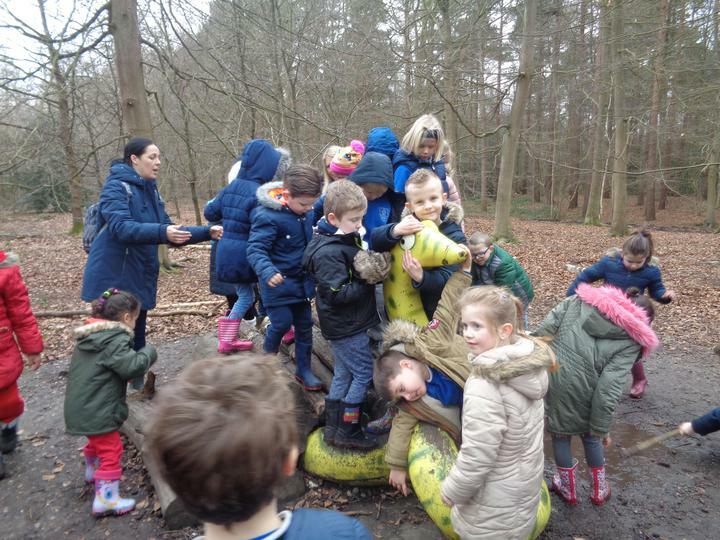 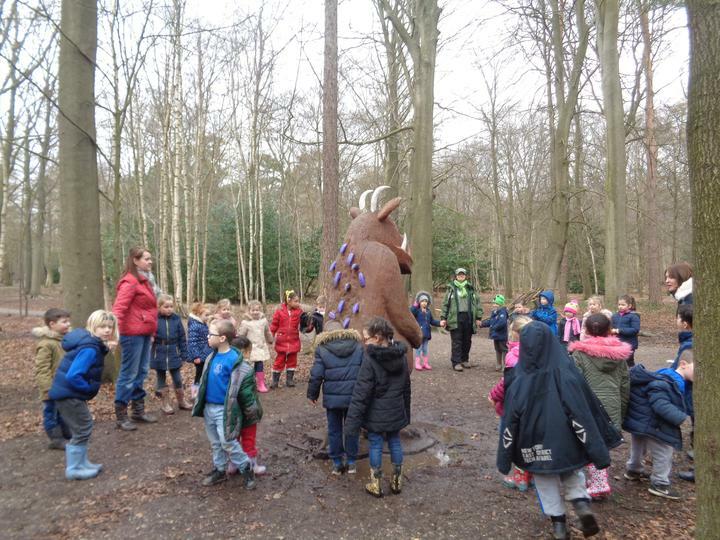 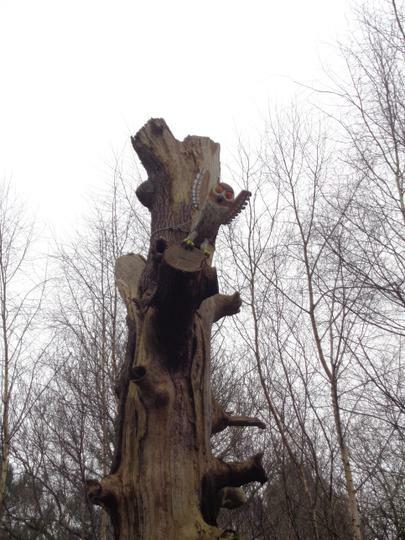 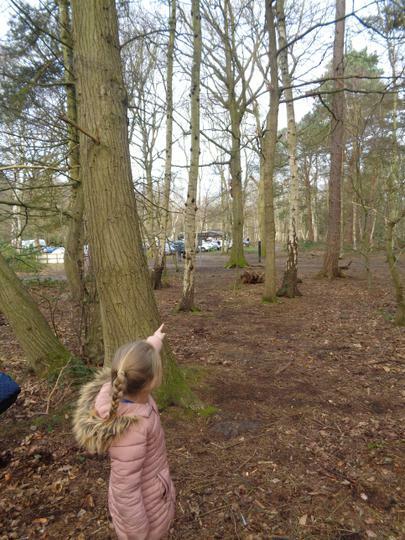 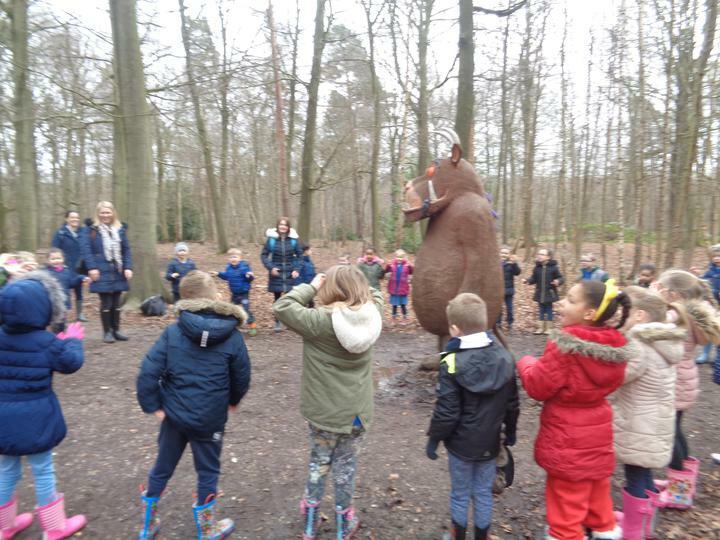 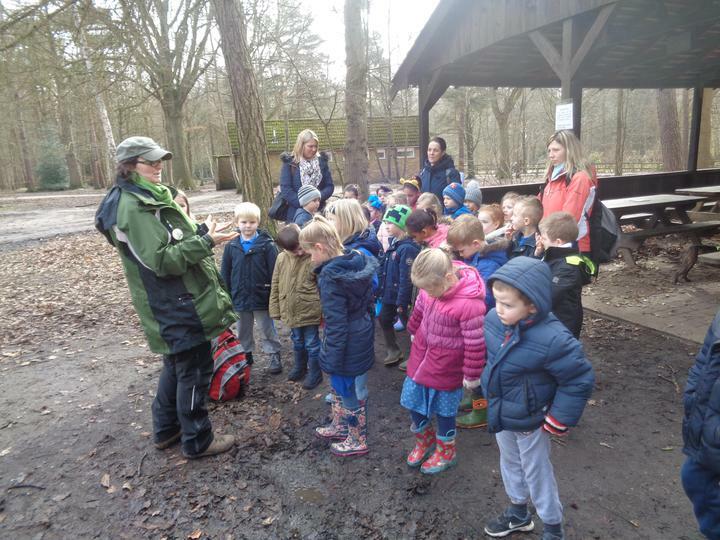 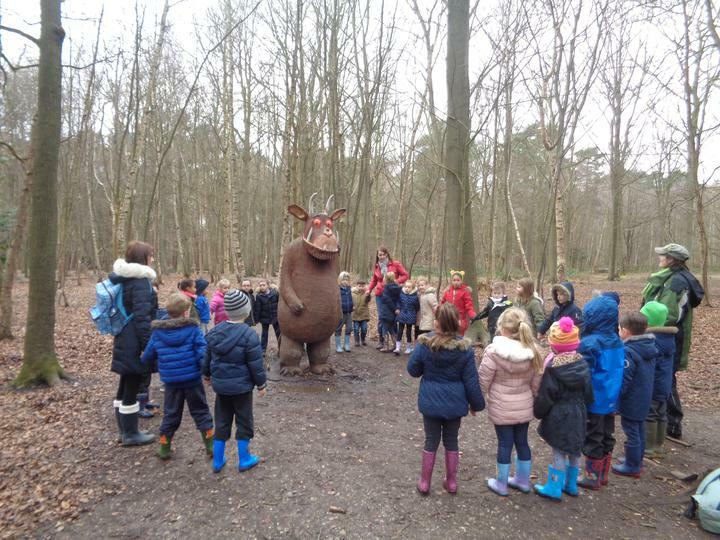 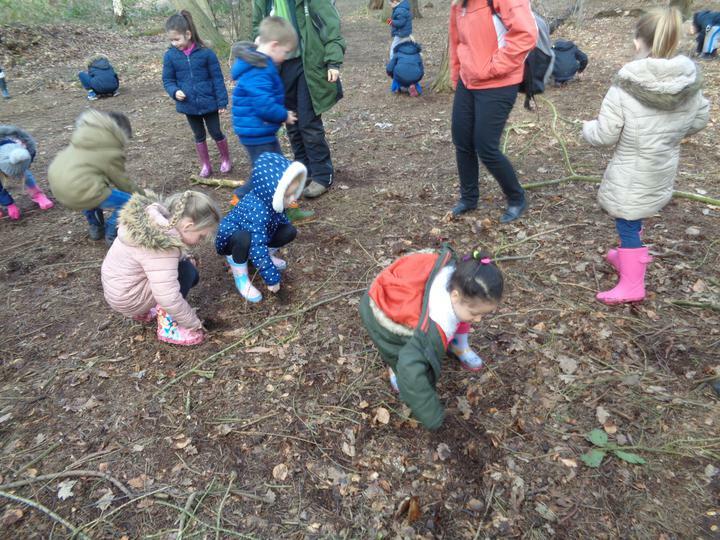 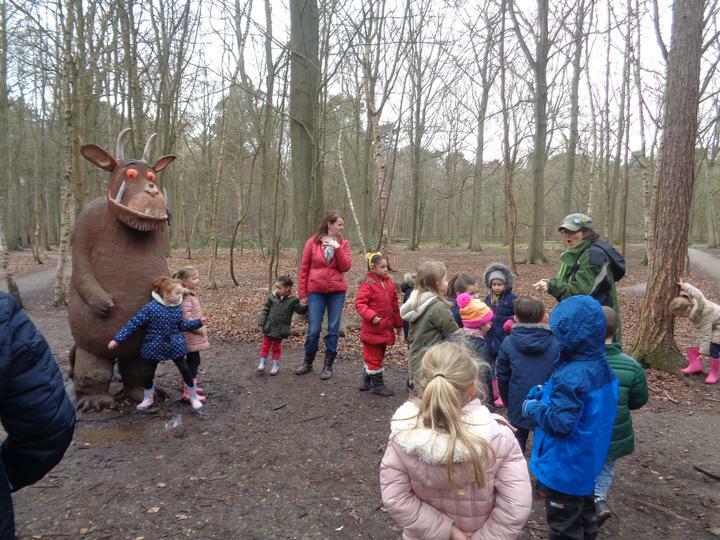 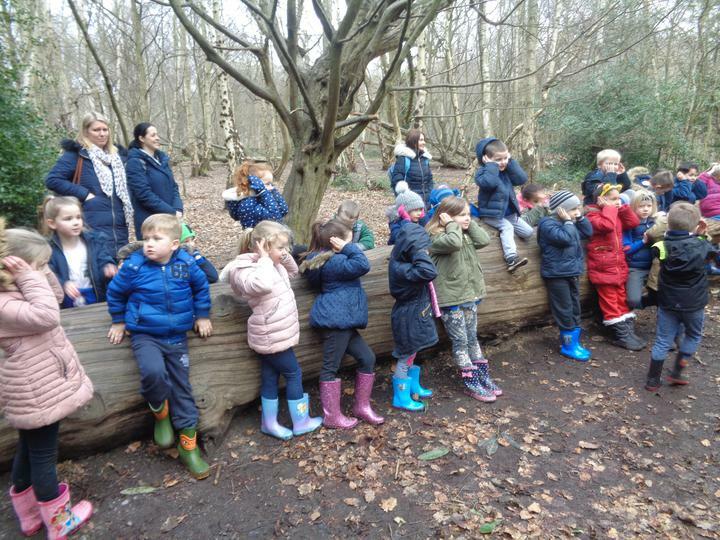 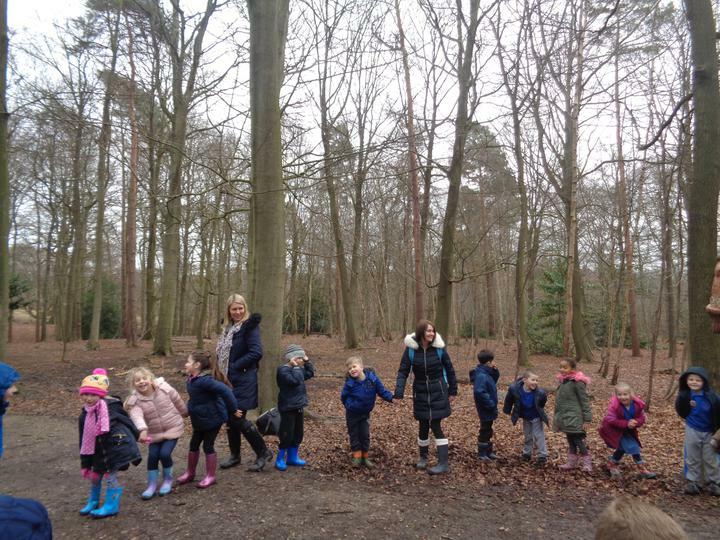 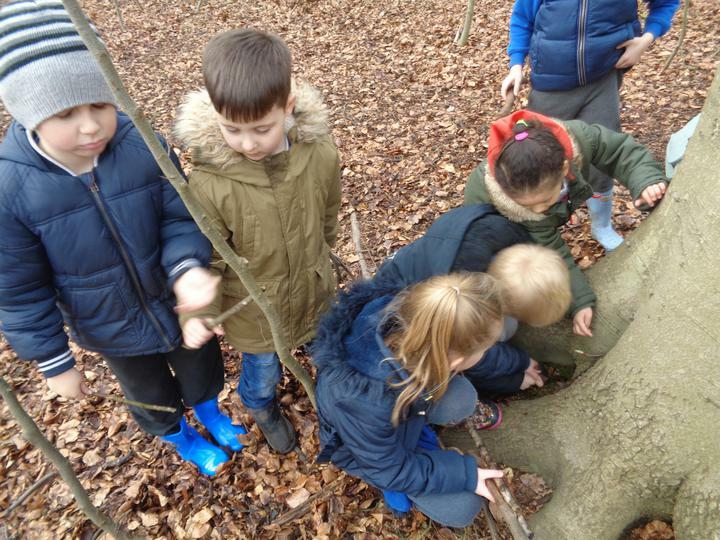 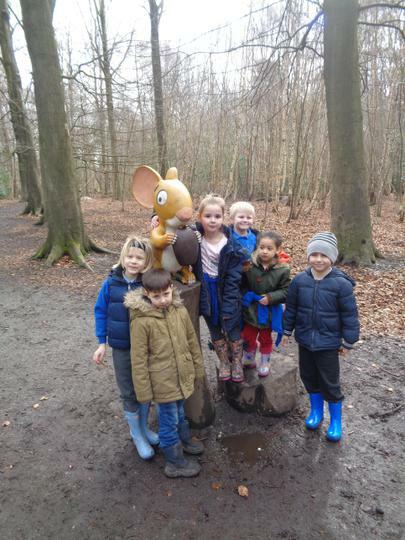 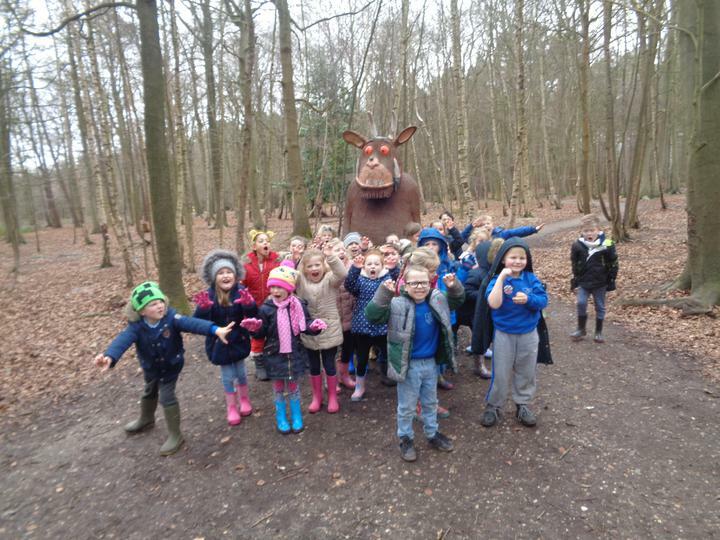 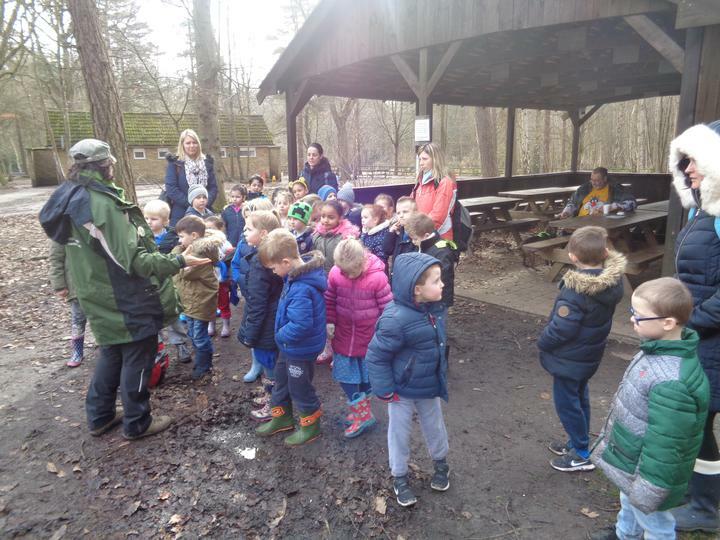 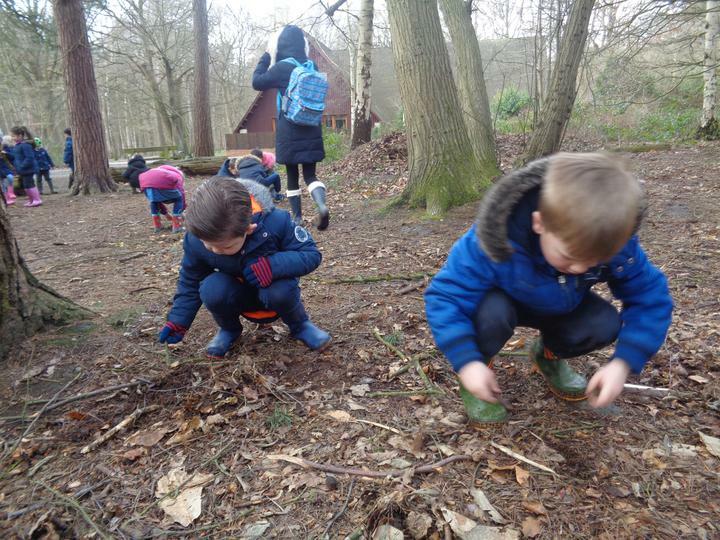 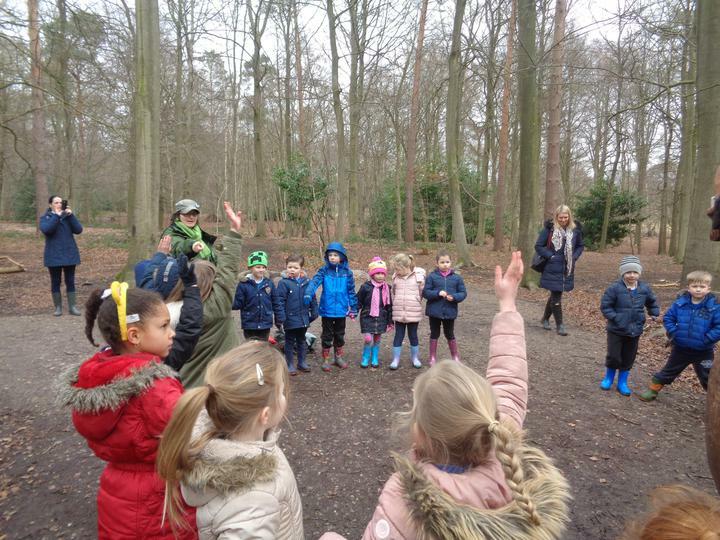 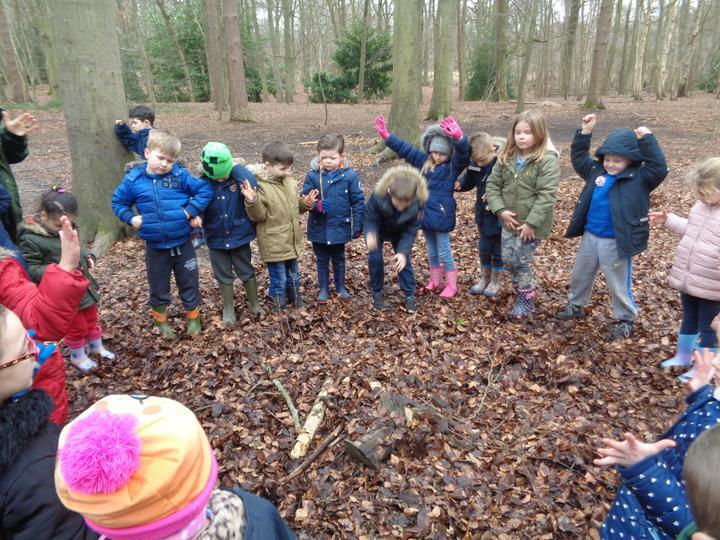 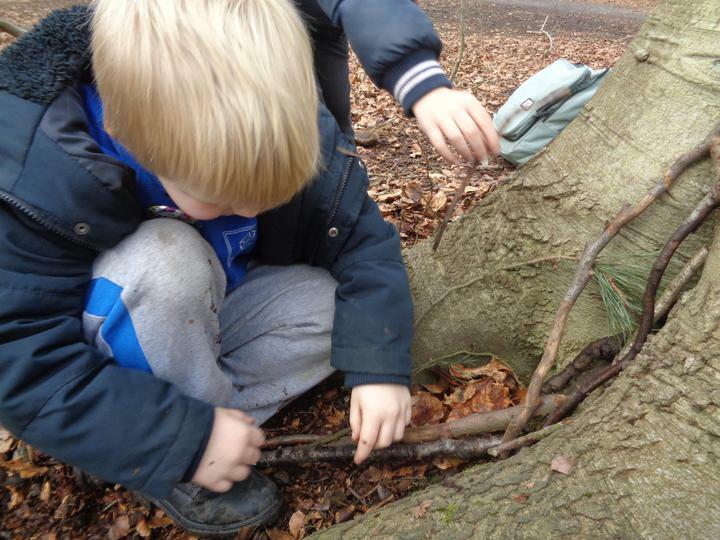 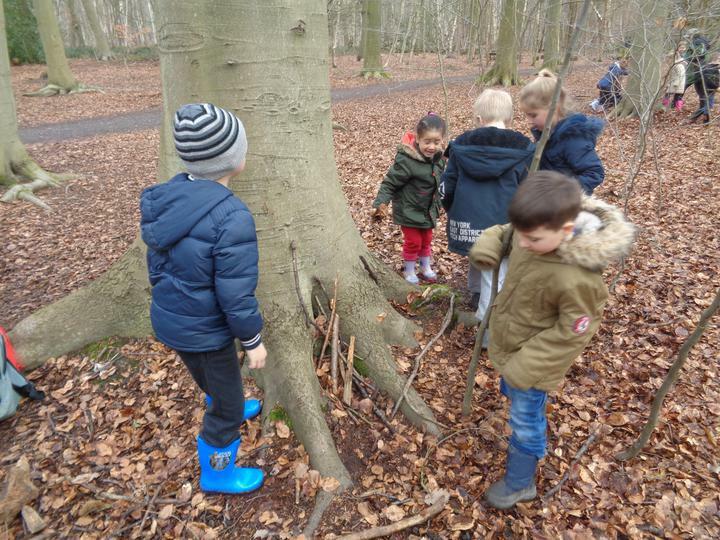 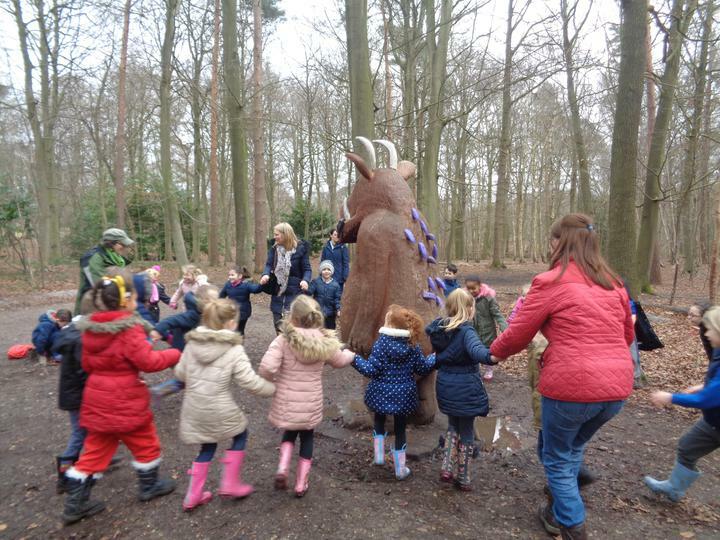 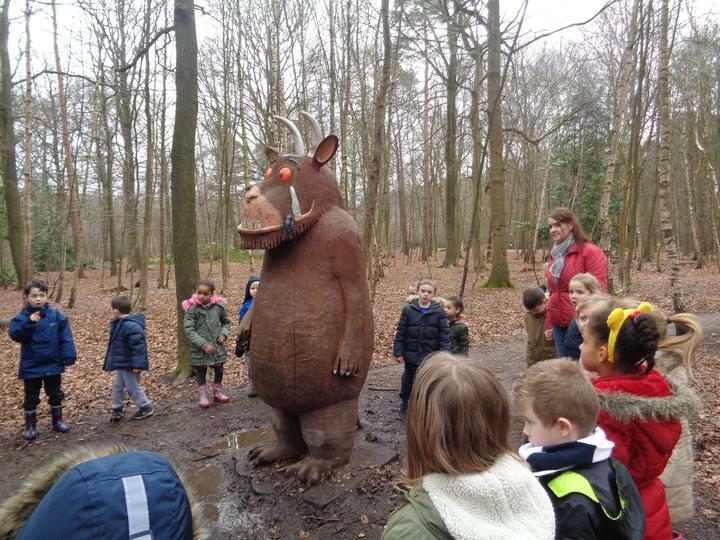 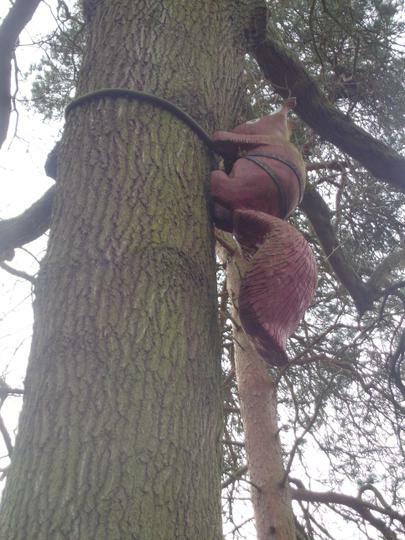 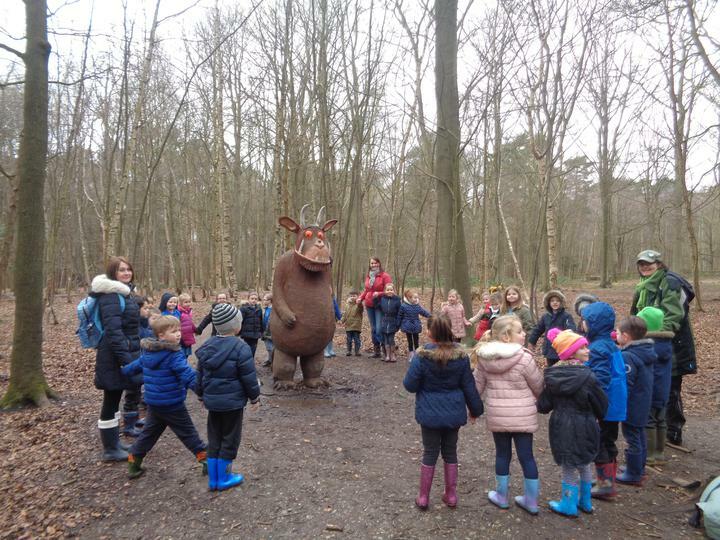 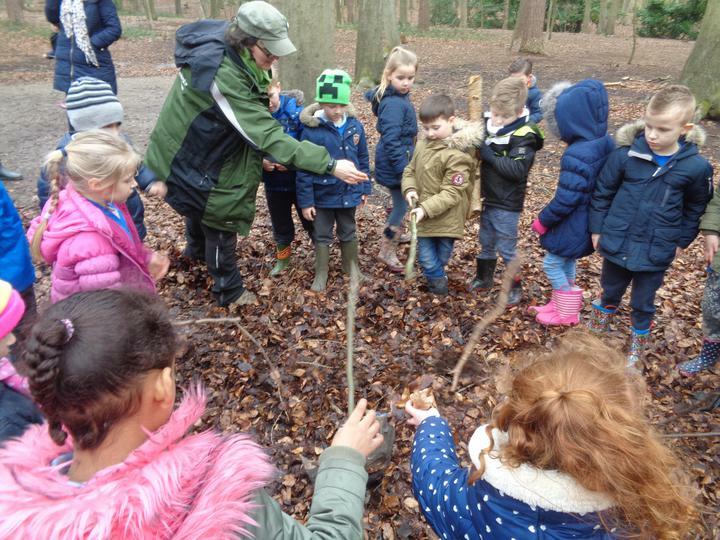 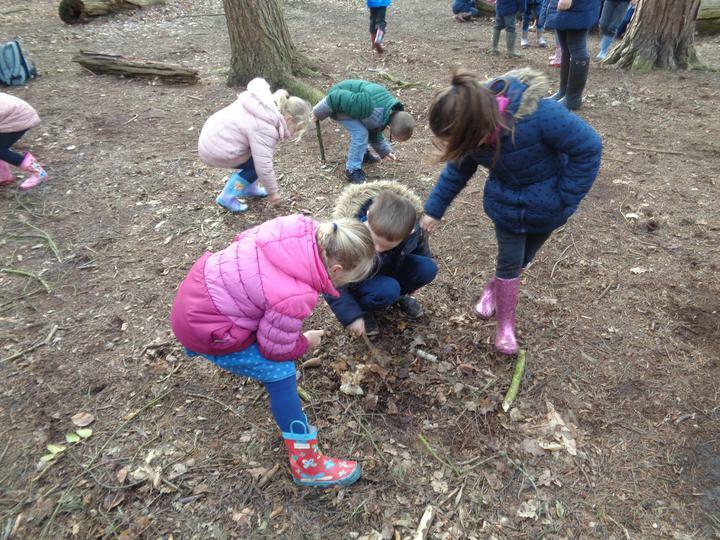 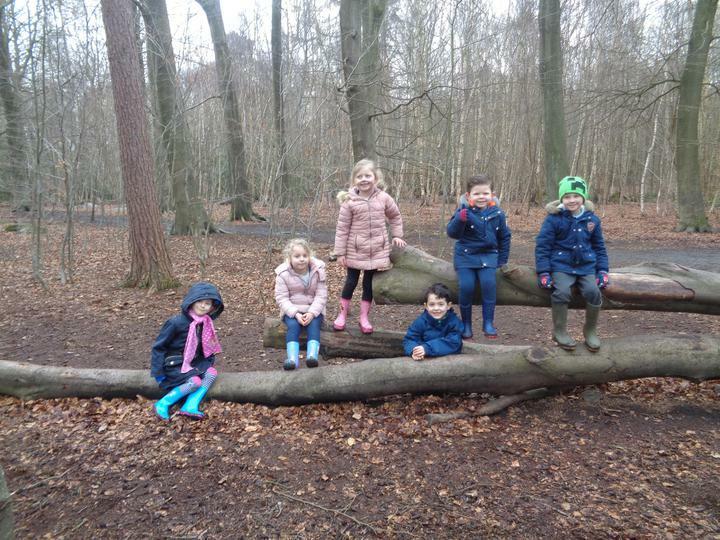 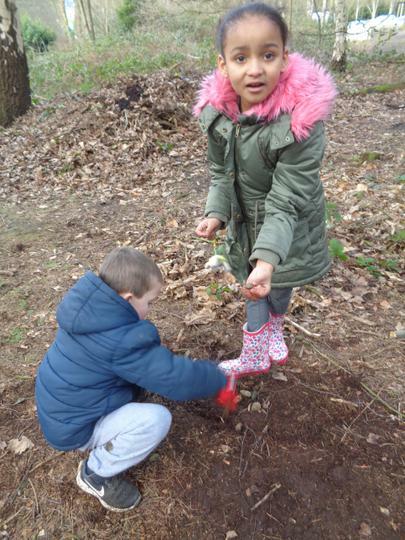 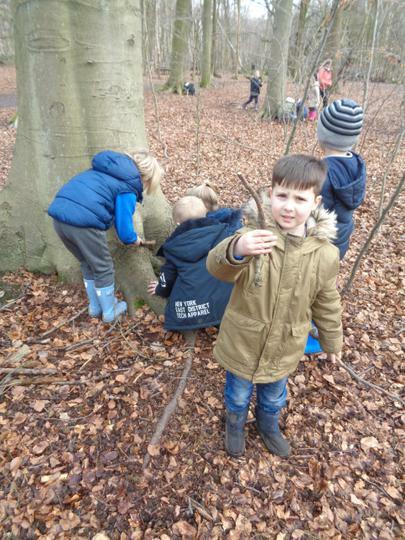 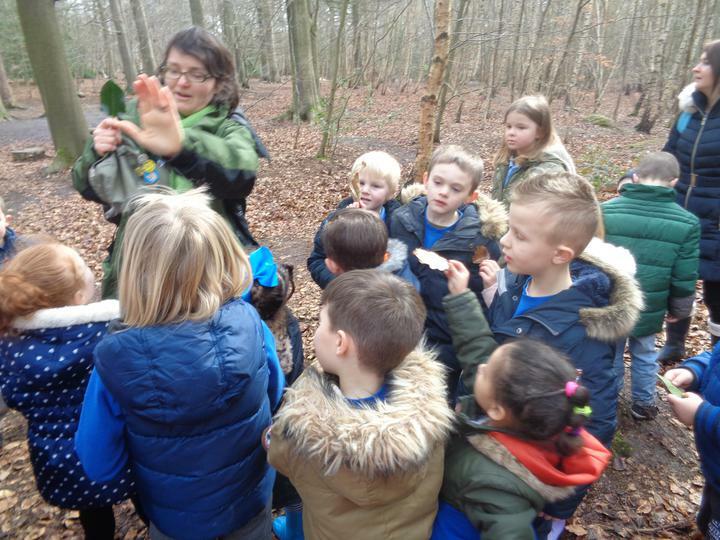 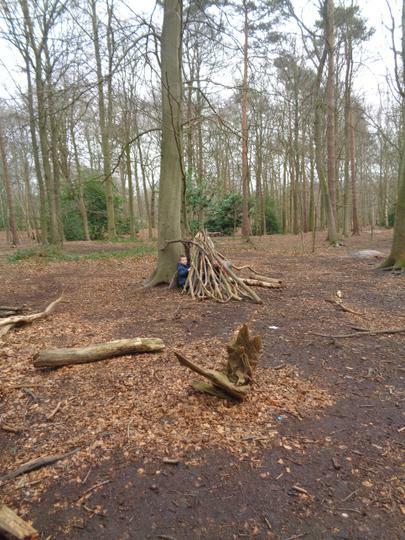 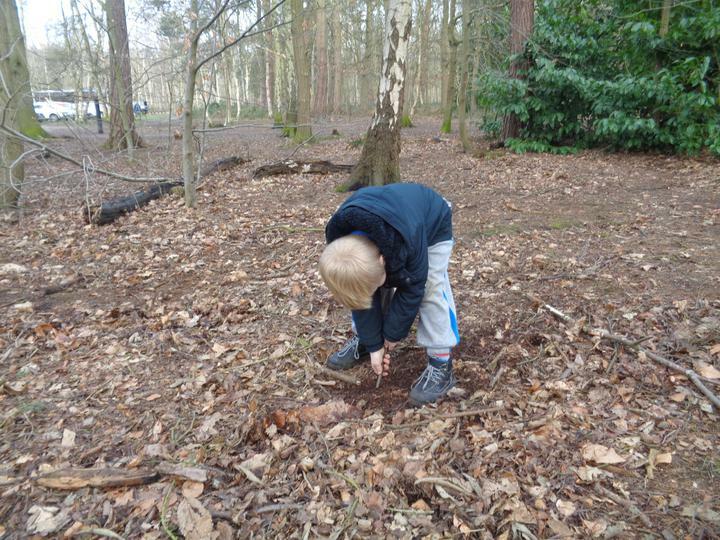 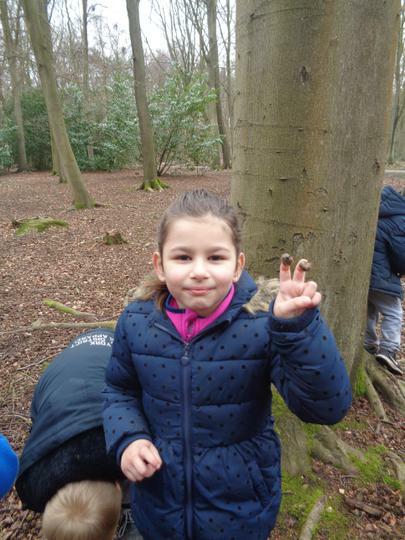 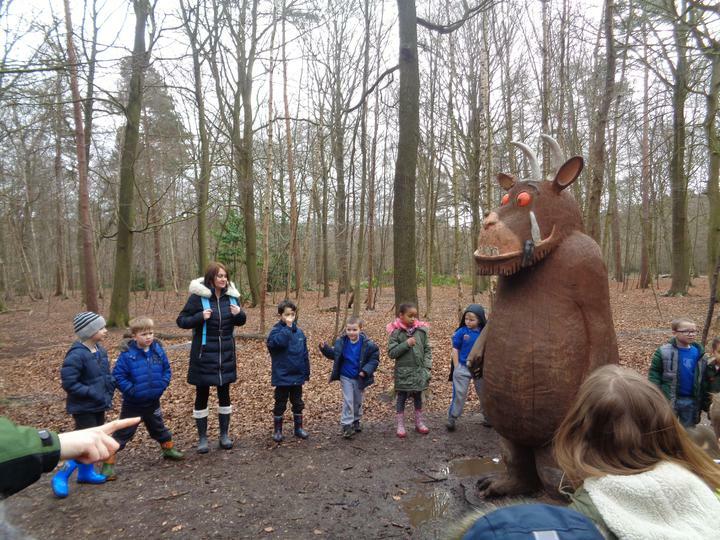 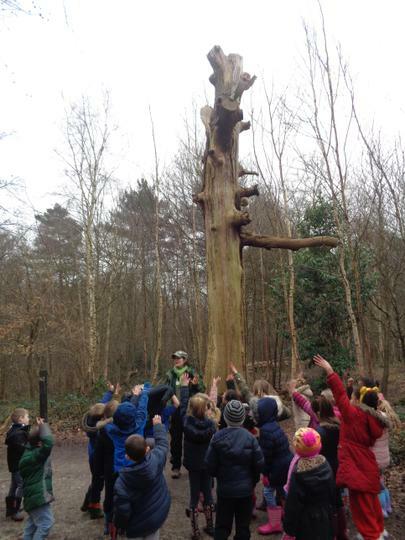 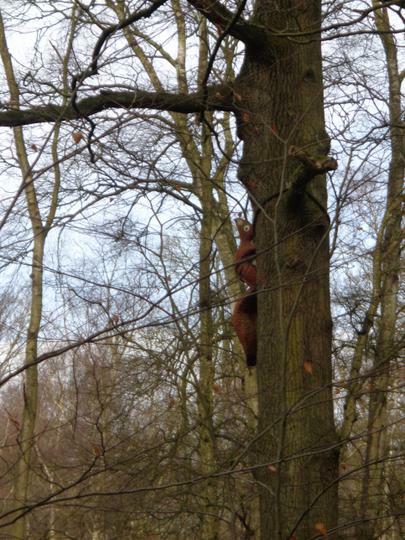 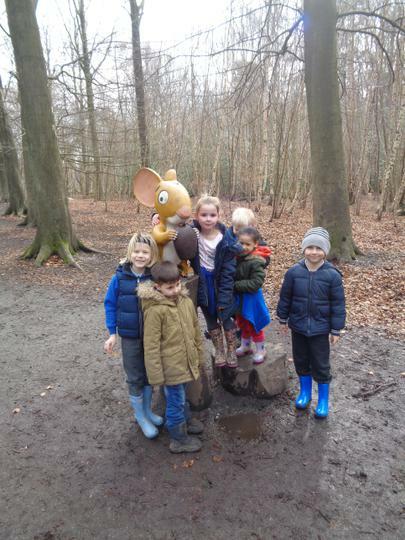 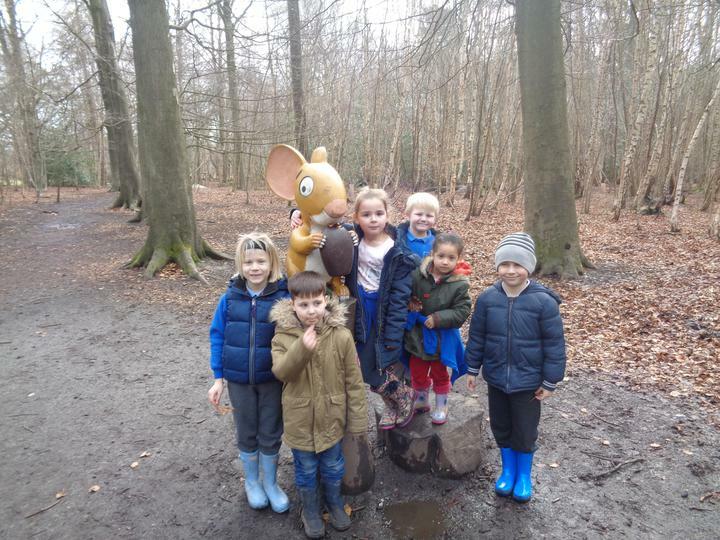 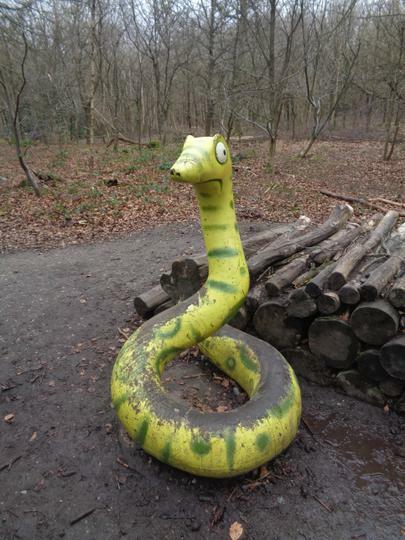 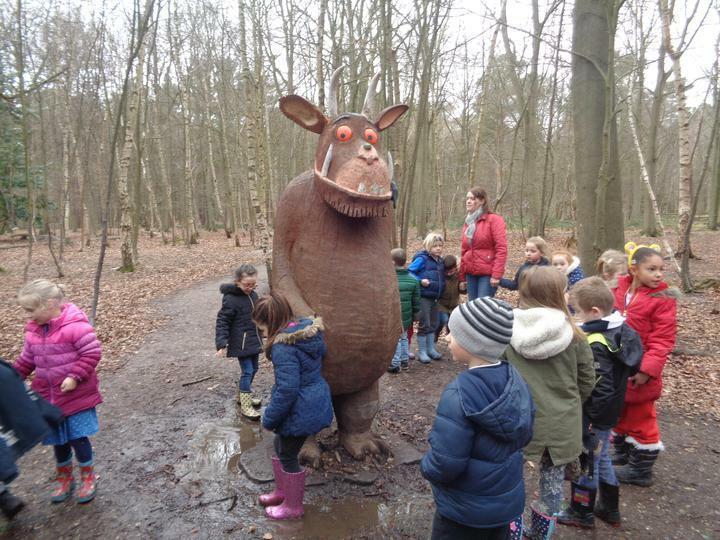 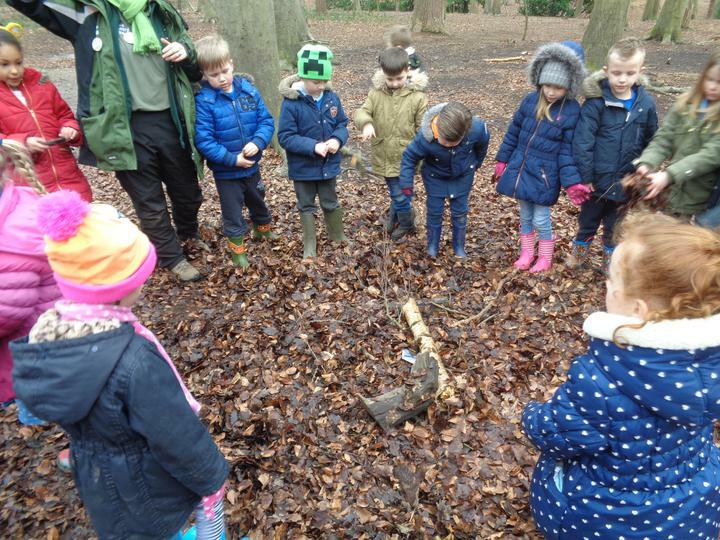 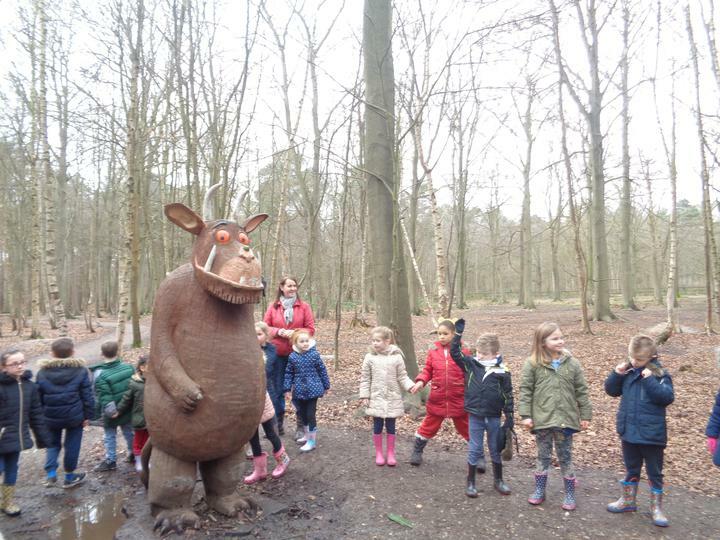 In March, the children in Year 1 visited Thorndon Park in Essex to walk The Gruffalo Trail. 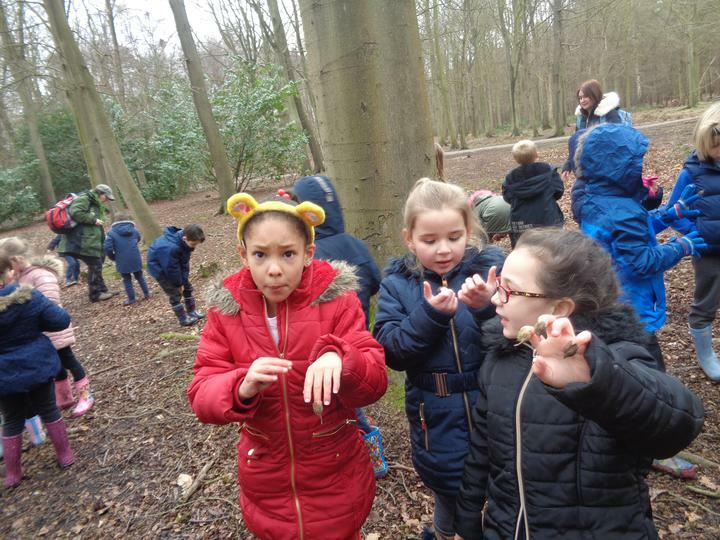 Not only was the trip a fantastic learning experience for the children in terms of exploring a real life location of one of their favourite stories but it also gave them an opportunity to investigate different habitats and to enjoy the outdoors! 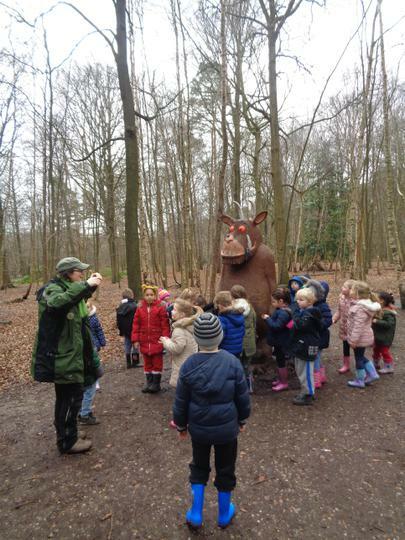 As you can see from the pictures, the children had great fun exploring and meeting the life size (and larger than life) characters from The Gruffalo.